Have you been trying to make your baby sleep peacefully at night? Or perhaps you are looking for an effective infant sleep aid? Well, worry no more – this article has got you covered. There are many health benefits to having a good sleep, especially for new-born babies. However, the process could sometimes be difficult for various reasons. Without further ado, here are tips for helping your baby fall and stay asleep. According to sleep experts, parents tend to develop a certain regular bedtime routine intended for their babies. This could include the likes of calming, 20 minutes of quietness, reading a bedtime story, bathing, or giving a gentle massage, among many others. In theory, these routines have the potential to help babies sleep more soundly. Try finding a bedtime routine that could work perfectly for your baby. And just because someone says it works for her child, it does not mean it could also work for you; hence, you need to find what is efficient for your infant. It holds true that multiple cultures love practicing the idea of giving infants a massage. However, there has been little to zero research when it comes to its efficiency. But hey, there is limited evidence that suggests it is efficient and refreshing. Basically, babies tend to have an easier bedtime if their mothers massage them. And while the research on this area is still being placed forward, there have been reports of its effectiveness. In fact, it has been deemed a natural sleep aid for babies. Unlike in the past, babies nowadays are being carried by their mothers using a sling that is placed in between their skin. Apparently, there is a huge benefit to carrying your baby against your naked skin. This is essentially called the skin-to-skin contact, which functions as an infant sleep aid. Also known as Kangaroo Care, it appears to offer some painkilling effects on infants. What is more, it has the ability to boost a baby’s levels of oxytocin, which is a hormone that comes with sedative effects. Swaddled babies are those wrapped in clothes or blankets, restricting them of any movements whatsoever. Due to this, they can barely move a muscle even during times that could startle their sleeping time. Does this really help babies sleep better? Absolutely – experts even say so! Babies who are swaddled in their sleep are able to sleep much better than those who are not. In addition, they tend to experience fewer possibilities of having interrupted sleep and undergo fewer startles. 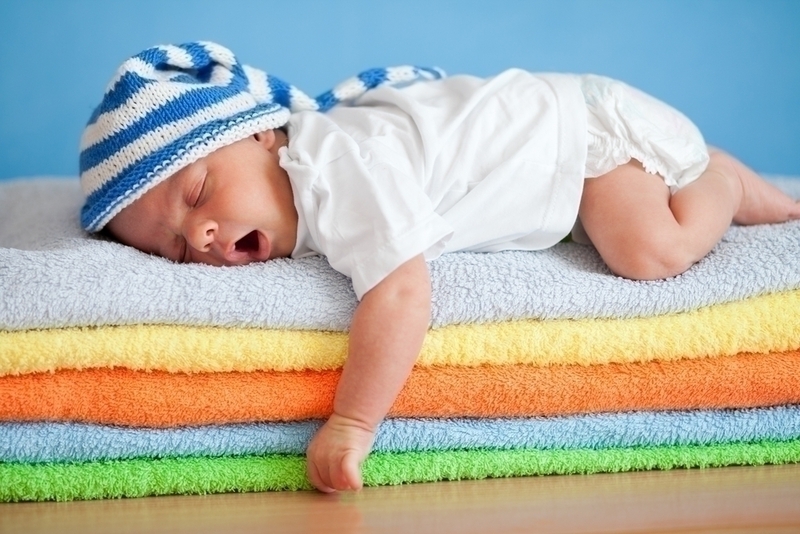 If your baby has been having troubles sleeping, try to swaddle him in blankets or clothes. This one right here has been proven time and again as an effective method of helping babies sleep soundly at night. The idea is pretty simple: you have to expose your baby to daytime light, which is between 6:30 AM and 7:30 AM. When your baby is born, his internal rhythms are no longer synchronized with the external’s rhythms. That is why he tends to wake and sleep at very odd times. Exposing him to daytime light can help in synchronizing both internal and external; hence, it is a very effective natural sleep aid for babies.